This lady is my mom! She lives in a senior apartment complex that has BINGO every Thursday night. I decided to make her a BINGO night tee shirt. 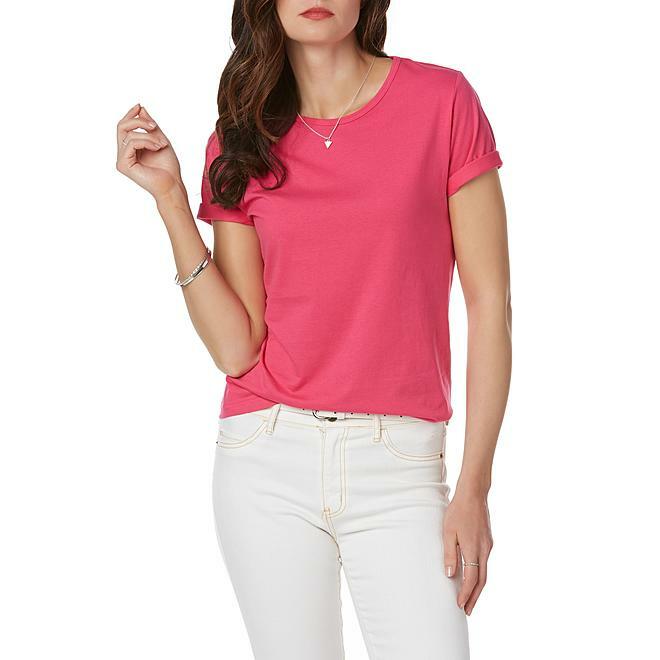 First, I purchased this woman's $6 stretch tee from Kmart. I pulled out my *Old Sign Stencils small BINGO stencil. (I have an older version of the BINGO stencil). Center the stencil to the front of the tee shirt, and tape it in place with blue painters tape. I stenciled the graphics with Fusion Mineral Paint in Champlain. Fusion works well as a fabric paint. Just make sure not to iron directly on the stencils. Iron from the backside or use a pressing cloth. So here is Grandma's new BINGO night shirt! Stenciling on fabric is really easy. Put a glop of paint on a paper plate, dip your stencil brush in the paint, and pounce most of the paint off on a section of dry paper plate before pouncing on your fabric. Always place a piece of cardboard under your shirt top side, so the paint does not bleed through to the back side. Do you know a lady that would like a BINGO night shirt? 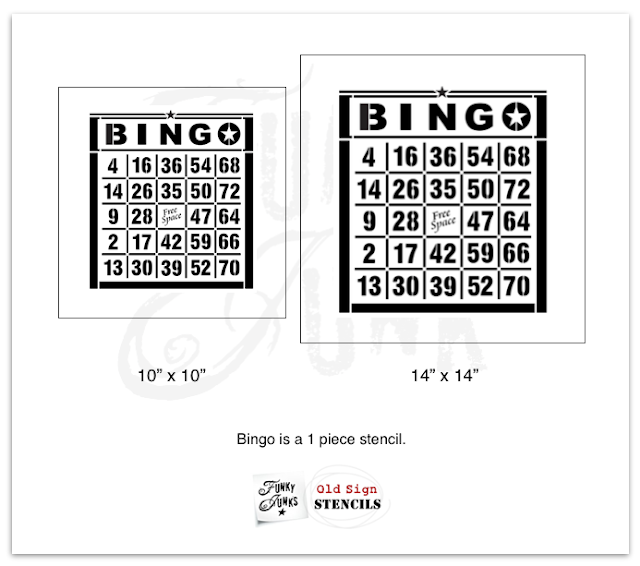 Since the bingo shirt was a hit, I made one more using the "Vintage" market extension stencil from Old Sign Stencils. Love this! What a wonderful idea! you did an amazing job, I would've never guessed it was stenciled on. The pink color looks wonderful on your Mom! Pretty lady!